The William Hill Scottish Cup kicks off this Saturday with the first preliminary round being played with Newton Stewart the only South Club involved. St Cuthbert Wanderers and Threave Rovers both received Byes to the next round. Newton Stewart have been drawn away to Ayrshire Junior side 2016/17 Scottish Junior Cup Winners and Super League Champions Glenafton Athletic who play in New Cumnock. This is an extremely tough draw for the Creesiders but will be great experience for the Wigtownshire side who are wished all the best as they fly the flag for South football. The Alba Cup is a competition for Clubs in the South who are not SFA members so therefore don’t qualify for the Scottish Cup. This competition also kicks off this weekend with Creetown playing hosts to Upper Annandale for a match that could go close and Nithsdale Wanderers visiting Dumfries to play YMCA In a contest the visitors will start as favourites to progress from. There are also four South of Scotland League matches with the local derby at Kirkcudbright looking the pick of the bunch. 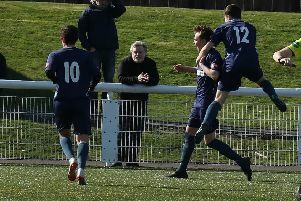 Heston Rovers and Lochar Thistle both have home matches against Bonnyton Thistle and Abbey Vale respectively and both are expected to keep up their winning ways. Mid Annandale visit Stair Park to play Stranraer and although the Lockerbie side are expected to give a good account of themselves the home side will go into this encounter as favourites. During the week there is a full schedule of League fixtures due to be played with Lochmaben playing hosts to Lochar Thistle on Tuesday evening with the visitors favourites to take the three points. On Wednesday evening Creetown play Newton Stewart and in Annandale where Mids play Uppers. Threave Rovers could be too strong for visitors Nithsdale Wanderers while Abbey Vale could have their work cut out to take anything from their visit to Kilmarnock to play Bonnyton Thistle. Dumfries YMCA have Annan Athletic as their visitors for a match that will see the home side in with a very good chance of taking the three points while at St Marys Park St Cuthbert Wanderers entertain Heston Rovers.